Millennials and Gen Z are the demographic most likely to volunteer with a community organisation, according to new research. 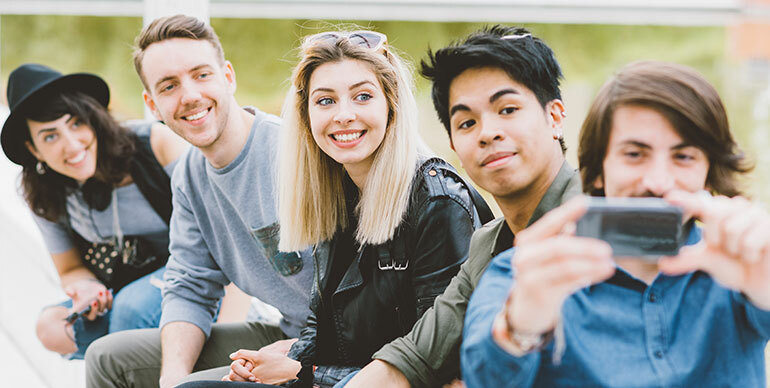 A report, released by NRMA Insurance, found that the so-called “selfie-generation” was among the most helpful and community-minded in the country. The research, which surveyed more than 2,000 people, found the majority of Australians were committed to helping others with nearly three quarters giving up their time to help the community and 41 per cent of respondents formally volunteering. In particular, young people aged between 18 and 34 were found to be the group most likely to give up their time to help others (80 per cent compared to 74 per cent on average) or volunteer in their community (43 per cent compared to 41 per cent on average). NRMA Insurance executive general manager shared value, Ramana James said while millennials were often perceived as “fickle or entitled”, the reality was quite different. “Young people are well connected, open-minded and have the energy and optimism needed to make a difference,” James said. “Help is who we are as Australians. We give people a hand up when they need it and we roll up our sleeves when things get tough. 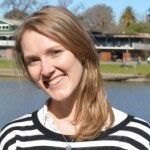 Volunteering Australia CEO Adrienne Picone told Pro Bono News she was “pleasantly surprised” with the findings. “In our experience it isn’t backed up by numbers particularly looking at the ABS data and Giving Australia Data,” Picone said. “Certainly in ABS they found that the age group between 45 and 54 were likely to be the highest group that were volunteering, and I think in Giving Australia it was 35 to 44 years olds but very closely followed by 45 to 54. “However, anecdotally, we do hear that young people are volunteering in vast numbers and they are volunteering in different ways than perhaps their older counterparts. Picone speculated there could be an issue in how volunteering data was captured and how volunteering was defined that could account for the different findings. “Often what we call volunteering, people don’t necessarily see as being a volunteer, they may consider themselves helping out or working on a project, they might not use that word. I think that often is the case with young people,” she said. According to the survey, young people were more likely to say they gave back because it made them “feel good”’ (54 per cent compared to 41 per cent on average) and because they wanted to make a difference (36 per cent compared to 34 per cent on average). The latest study also asked people about how they felt about their community and the challenges faced in helping others. The findings showed those who volunteered were more likely to feel like they belonged in their community (with 78 per cent compared to 65 per cent on average). However the biggest barriers to helping others or volunteering were identified as work commitments (36 per cent), “busyness” (31 per cent) and the out of pocket expenses involved (25 per cent). James said while it was not always easy to find the time to volunteer and give back, for those who did, the rewards were great. “Not only are you helping others, but you are helping make your community stronger and more connected,” he said. Michael Andrews, the Queensland Young Volunteer of the Year 2017, told Pro Bono News there was an “organisation for everyone”. “I think now more than ever people, especially young people, are volunteering for causes that are close to their heart and causes that they are passionate about,” Andrews said. “There is an organisation for everyone. The 19 year old, who started volunteering with St John when he was five years old and has spent the last five years volunteering with Surf Life Saving Queensland, said he thought people would be surprised to hear that young people were volunteering more but that it made sense. “I think our generation are passionate about issues. It should come as no surprise that people want to give back in ways that they enjoy,” Andrews said. He said it boded well for the future. “I know in the organisation where I am volunteering at the moment, they always say that young volunteers are the future, which is true to some extent, but they are also part of the present,” he said. This survey result surprises me because I am a Volunteer and belong to a network of NFPs who are all struggling because their Volunteers are all aged and are retiring or planning to retire. How did NRMA Insurance find their survey participants? Did they survey NFPs? The NFP that I volunteer with was not invited to participate. I’ll definitely research this. Proof that we need to find the best ways to make volunteering with ARC an attractive option for this generation – an exciting challenge!